We are a coalition of families, health care advocates, security experts, businesses and non-profits who believe it is time to close a dangerous security gap that leaves our nation vulnerable to foreign attacks and invites illegal and toxic drugs into our communities. 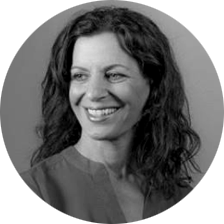 Juliette Kayyem has spent over 15 years managing complex policy initiatives and organizing government responses to major crises in both state and federal government. She is currently the Belfer Lecturer in International Security at Harvard Kennedy School and an on-air security analyst for CNN. She also hosts a regular podcast entitled Security Mom for WGBH, Boston’s local NPR station, and her newest book, Security Mom: An Unclassified Guide to Protecting Our Homeland and Your Home, was published in April. Juliette is a board member of Mass Inc., the International Centre for Sport Security, and the Red Cross of MA. She is also a member of the Council on Foreign Relations, the Trilateral Commission and DHS Secretary Jeh Johnson’s Homeland Security Advisory Committee.